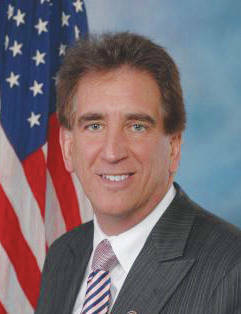 CINCINNATI — U.S. Rep. Jim Renacci of Ohio is jumping out of the Republican governor’s race and into the U.S. Senate primary. The fourth-term congressman announced his plans Thursday in a letter to supporters. The businessman and former Wadsworth mayor earlier said he’d make that move if he got encouragement from President Donald Trump, who carried the swing state in 2016. Republican Ohio Treasurer Josh Mandel withdrew from the Senate race last week because of his wife’s health. That left Cleveland banker Mike Gibbons as the leading GOP candidate to unseat two-term Democratic Sen. Sherrod Brown. Still running for governor on the Republican side are Attorney General Mike DeWine and Lt. Gov. Mary Taylor, and at least a half dozen Democrats are seeking the nomination May 8.